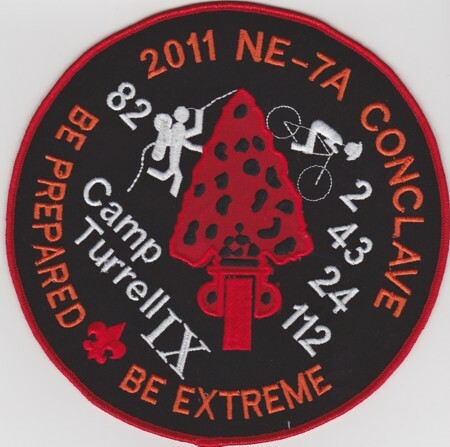 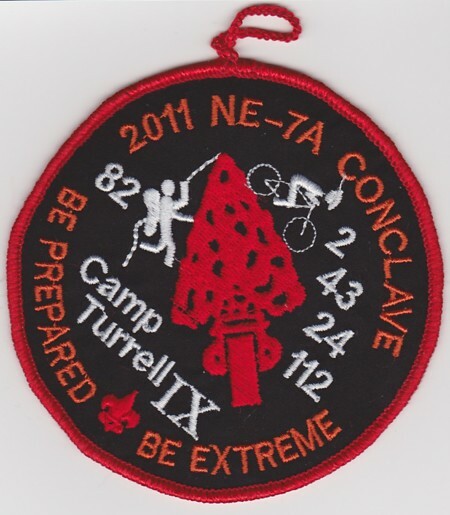 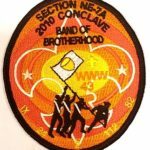 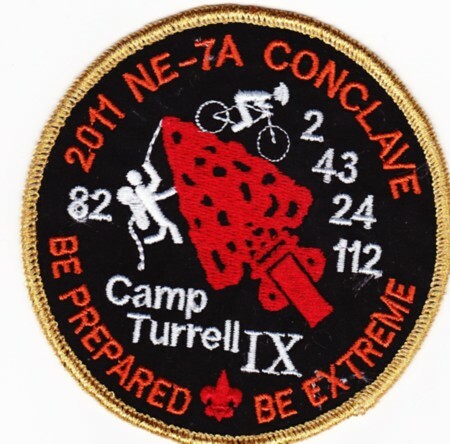 The final Section NE-7A Conclave was held at Camp Turrell, hosted be Lenapehoking Lodge IX and the theme was Be Prepared, Be Extreme. 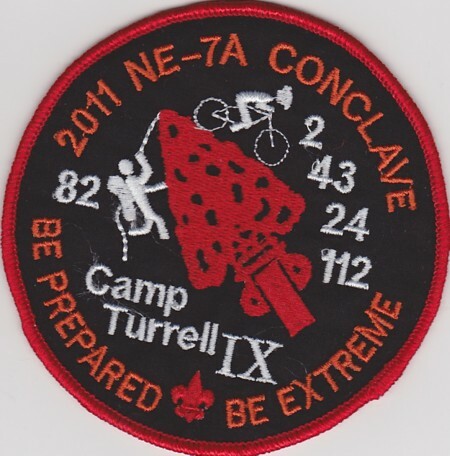 Update: June 30, 2012 There was also a COC version of the patch. 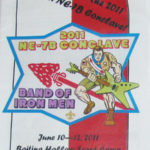 There is also a gold mylar patch that was handed out to the COC members.